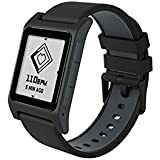 Sold by Cool_stuffs and Fulfilled by Amazon. Gift-wrap available. 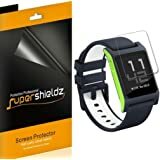 Comment: Super fast FREE shipping - 30 Day Satisfaction Guarantee ! 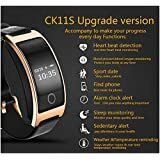 Buy this product Renewed and save $34.96. Ships from and sold by Thousands of Electronics. Ships from and sold by IQ Shield. 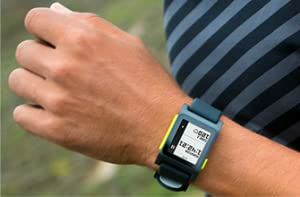 Train smarter with Pebble’s fitness-tracking, customizable, go anywhere smartwatch. From trail to pool and everywhere in between, be fit and smart with one device. Track heart rate, steps, sleep, calories, and workouts with Pebble Health fitness tracking. Manage and act on all your texts, calls, and app alerts. Go the distance with big battery life, 30m water resistance, and a mic for voice actions. Live in the heart of the action. 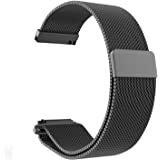 24/7 Heart Rate Monitor - Take your pulse automagically. 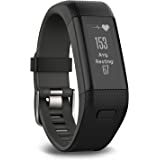 Smart Fitness Tracker - Track steps, calories, runs, and long walks on the fly. 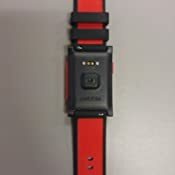 Sleep Tracking and Recovery - Count total Zs and deep sleep. Vibrating smart alarms wake you once you’re refreshed. Voice Actions- Speak your mind with the built-in microphone and voice dictation. All Notifications- Get all your app alerts: texts, calls, events, snaps...whatever you want. Customize to infinity- Unlock over 10,000 fitness, productivity, gaming, and control apps and watch faces. 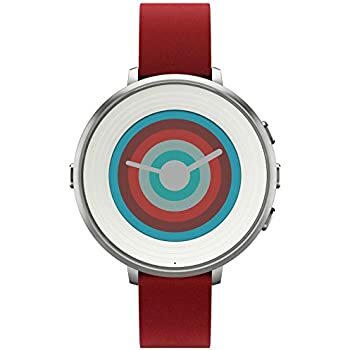 See beats-per-minute with heart rate sensing that syncs seamlessly with Pebble Health. 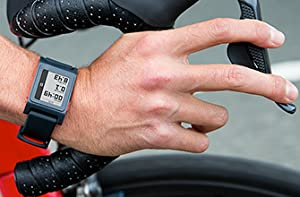 Stay in the ideal workout zone with a quick glance at your watch and focus on crushing it! 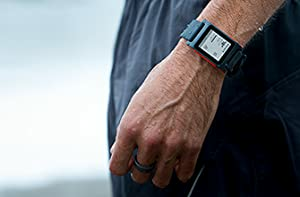 Track your steps, heart rate, calories burned, and more—all within Pebble Health. Perform better than ever with tailored insights and rock your fitness goals. Rise and truly shine: enjoy Pebble Health's integrated sleep tracking for the deep sleep and recovery time you need. 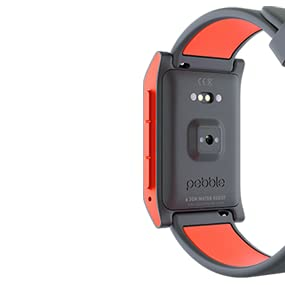 Pebble is your heads-up display for all your phone throws at you. Connect to the action. Dismiss distraction. Respond on the fly. 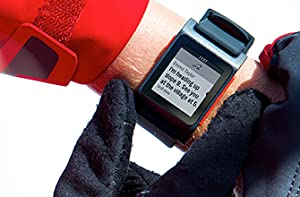 Make Pebble truly yours with over 10,000 available apps for fitness, health, productivity, news, games, and remote controls. Get Pebble as wet as you want with water resistance up to 30 meters. Bring on the pool, surf, shower, and rain. Adventure freely with up to 7 days on one charge. Leave the cable at home, juice up whenever you’re back. The ePaper screen is always on and shines clearly, even in the brightest sunlight. Say goodbye to blank displays. Why choose between a fitness tracker and a smartwatch when you can have both in one? 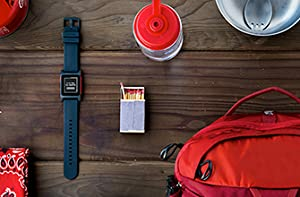 our new Pebble smart watches keep you connected and in control during your busy day. They serve up notifications, Show your schedule, and even let you perform simple tasks with the click of a button. 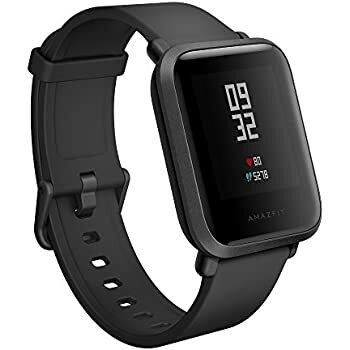 With Built-in activity tracking, optical Heart rate monitoring, and our updated Suite of health tools, Pebble is the only thing your wrist will ever need. 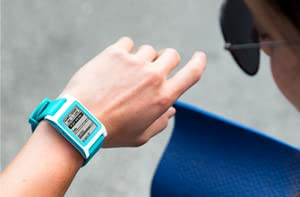 Our watches come standard with multi-day battery life, water resistance down to 30 meters, and e-paper displays that make them readable indoors and out. Like all our products, our watches work with both iOS and Android smartphones. 5.0 out of 5 starsBest. 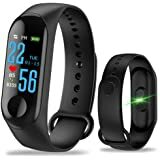 Smart watch(/fitness tracker). Ever. I'm amazed by how much I love this thing. 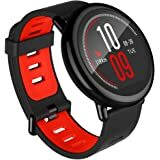 I've been looking for a smart watch/fitness tracker I liked for more than a year. I've owned the Moto 360, Fitbit Charge HR, Fitbit Blaze, Jawbone UP3, and Xiaomi HR. None of them hold a candle to this thing. 1. The screen. Omg. I was disappointed at first by two things: it has no color, and it's not touch. Guess what? I was wrong! Those things are AWESOME. It's crystal clear, the lack of color looks super classy and eye-catching, and no touch screen means navigation is super simple and accurate. I hated the Moto 360's touch screen, you'd touch three things you didn't mean to before you got the right thing. And the Blaze's was super laggy and everything was tackily oversized so you could click it easier. But I didn't realize before now... A touchscreen is completely unnecessary! I think I just wanted it for the 'cool' factor, or maybe it's just been programmed in me that touch screen=more advanced=better. But the navigation on this thing is so simple and easy and accurate. I absolutely love it. It even lets you program quick buttons, so holding down each of the four buttons for a second will automatically load whichever app you choose. And the four buttons is a million times better than the standard one or two that's on most fitness trackers. 2. It's so fast!! I've never had such a fast gadget. It's faster than my Galaxy S6. It loads everything SO quickly it still trips me out. No glitches (so far), no freezes or anything. And the speech-to-text feature is faster than the Google app on my phone. I don't know how, but it's movie-quality fast and has yet to get a word wrong. 4. The app is pretty cool. It's easy to navigate, appealing, and has everything on it that I'd want. 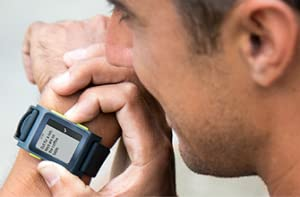 Your sleep, heart rate and workouts are right there with no digging, and they're easy to understand/navigate through. Out of all the apps I've used (for fitness trackers), I'd say it's a smidge better than the Fitbit app. 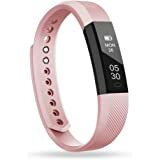 That one always sucked at connecting and updating (it would take hours to upload info from the tracker to the app and then onto Fitbit.com or whatever, which wasn't optional and would take way too long). This one has no connection problems, updates within minutes and has yet to glitch out on me or be buggy. 5. 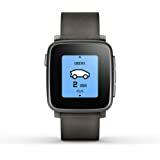 Even though they have a LOT of user-made apps that do just about whatever you want, the default Pebble itself is super useful and programmed very well. And it's super cute. Right out of the box it was programmed to know my calendar and warn me of appointments and such, could control the music I was playing on my phone (Spotify), and the weather was one click away. And the animations are all so smooth and just plain nice looking. 6. I've heard a lot of complaints about watch faces. How many do you need? There are THOUSANDS. There are even lots of ways for you to make your own. I've had mine less than a week and I already have nine favorites that I've been toggling between because I can't pick a favorite. And I'm very picky, so if I had to guess I'd say you can find at least a handful you like. 7. It's so sleek! And gorgeous! And comfortable! The band is that strange silky silicon that you just want to keep touching. 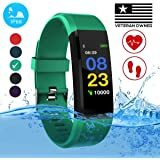 It's waterproof and the battery lasts up to a week. It's simple but eye-catching. I can find no faults with this awesome little watch. I'm so happy with this thing. 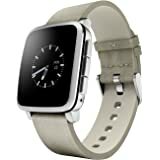 I don't care at all that Pebble was sold and will no longer support it. Who cares? How often have you had to contact a manufacturer about your watch? 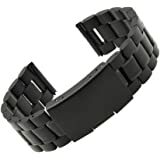 These things are ephemeral anyway, and if you're really that afraid of losing your $100 smart watch in a year or two due to some kind of failure then you probably shouldn't be in the market for a smart watch. 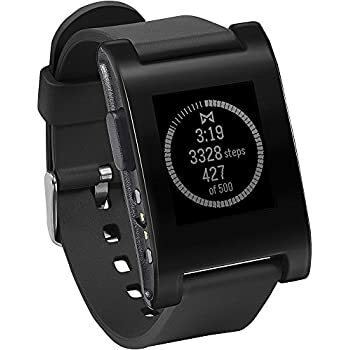 I will 100% stand by and recommend the Pebble 2. 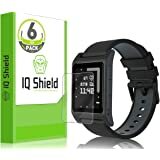 No more smart watch searches for me! Woohoo!!! 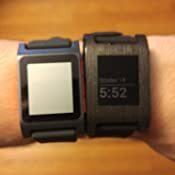 Fitbit will maintain services so that Pebble devices continue to work as normal until at least the end of 2017. 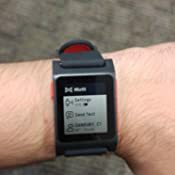 Pebble functionality and service may be reduced in the future. 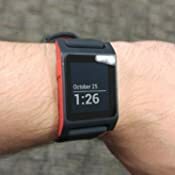 Pebble Time 2 won't come to life at this point now will the core. This is truly sad as I loved my first gen and I really like this watch. I am happy with it but the Heart Rate monitor is currently flawed. 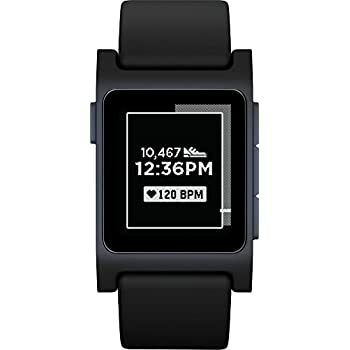 I don't think I could recommend buying this watch at this point but I might buy another Pebble 2 without the HEart Rate Monitor if they go on discount before they disappear forever. Please feel free to ask any questions and I will answer if I can!